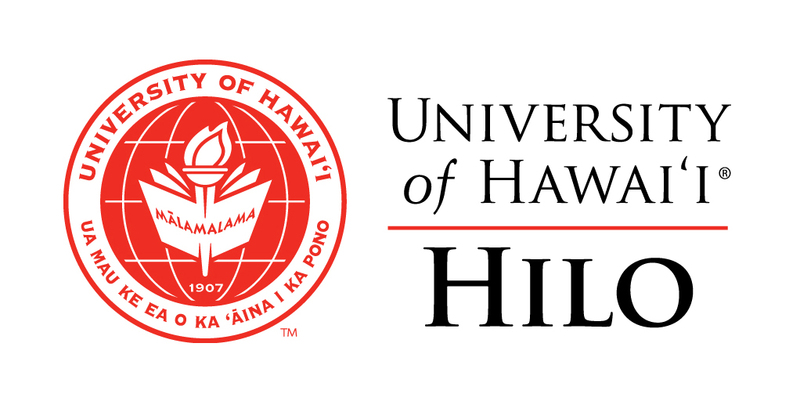 What is the UH Hilo Educational Observatory (UHHEO) ? The UH Hilo Educational Observatory is a small observatory owned and operated by the Department of Physics and Astronomy at the University of Hawaii at Hilo. It is primarily used for small research and educational projects, student training in modern astronomical techniques as well as for outreach. What is the story behind the UH Hilo Educational Observatory ? The story of the UH Hilo Educational Telescope is complicated! It starts in the late 1960s when a small observatory was built on Maunakea by the Air Force and NASA. That observatory was later transfered to UH in 1970, and then UH Hilo in 2003 for its undergraduate program in astronomy. Initially used for many scientific projects from planetary astronomy to extragalactic studies, the Boller & Chivens 24" telescope became then mostly used by UHH students for research projects.. However, because it could not be easily operated remotely and that some mechanical systems started to show their age, it was dificult to integrate its operations within the UHH program and laboratories. In mid-2000s, a NSF grant was obtained to replace the telescope and dome so that it could be operated remotely. Hence the original telescope was removed in 2008 and a 36" telescope was installed within a new enclosure (now named Hoku Ke'a). Unfortunately, this equipment was faulty from the start and was never really used after completion of the project in 2010. Instead of repairing it, UHH decided in 2013 to replace it again with state-of-the-art equipment offering great and reliable operational flexibility, more appropriate for training students. Funding was obtained (see below) and new equipment was purchased in 2016. In the meantime, the current site on Maunakea is being considered for decommissioning so no permanent site has been identified yet for the new Educational ObservatoryUHHEO. For a more detailed timeline, see this document. Where did the financing come from for the new refurbishing project ? The project for the new UHHEO was financed by the State of Hawaii through a Capital Improvement Project (CIP) obtained by the University of Hawaii to refurbish its two observatories on Maunakea , the 2.2 meter and Hōkū Ke‘a. The refurbishing of UHHEO, which included a new telescope, dome, instruments and peripherals cost about $400k. Who is using the UH Hilo Educationl Telescope ? 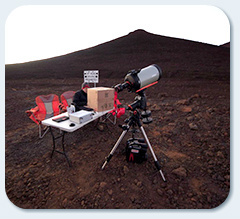 The UH Hilo Educational Telescope is used by UH Hilo and UH-Manoa for their undergraduate astronomy programs. Faculty and students at both institutions use it for laboratories and research projects as well as for outreach events and programs involving the communities. Moreover, because of its operational flexibility, UHHEO can be used to build scientific and educational collaborations around the world, including other educational institutions and serious citizen astronomers. What kind of telescope is used in the Educational Observatory at UH Hilo and what are its advantages ? 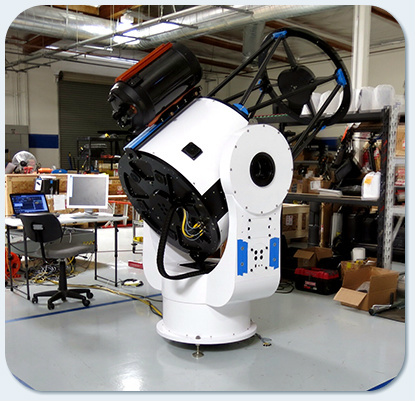 The core of the new observatory is a PlaneWave Instruments 0.7 meter (28") CDK700 telescope. This telescope is very modern, and can be operated remotely or robotically. In term of telescope design, the CDK telescope uses a "Corrected Dall-Kirkham" optical configuration (so reflective and refractive optics), and a tertiary mirror to send the light to two different ports. This optical design has several advantages: it offers a large field of view with excellent image quality, and you can also mount two instruments at the same time, adding tremendous operational flexibility. The alt-az mount does not employ gears but coils and high resolution encoders. Its pointing and tracking performances are exceptional. PlaneWave has built 25 similar units so far, used all over the World. What observing modes are available? Three different modes of operations are possible: Classical (where observers are present in the dome), remote (where observers operate the telescope, dome and instruments at a remote location), and robotic (where observers are not present and the telescope automatically executes observations planned in advance). What instruments are available for UHHEO ? The first generation of instruments include a CCD camera with a field-of-view of about half of a degree; sets of broad and narrow band filters are available. A fiber-fed echelle spectrograph for medium-resolution spectrocopy is also available on the second port of the telescope. A small slit spectrograph, high-resolution planetary video camera, and a wide-field piggyback system will be available in the near future as well. 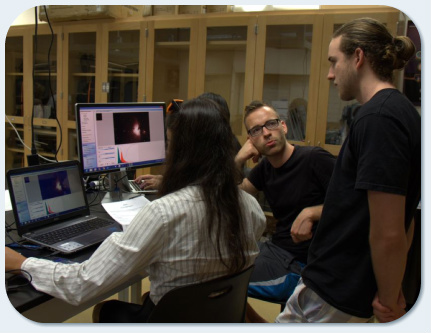 We have plans to develop a small robotic Adaptive Optics system with IfA-Hilo. What kind of observations can you do with UHHEO ? The telescope is equipped with an imaging system and a spectrograph. Observations on planets, asteroids and comets are possible. 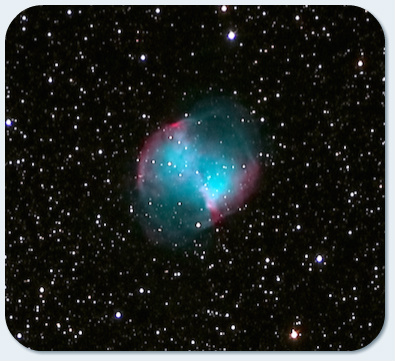 We can also study stars, stellar clusters, as well as planetary and ionized nebulae. Galaxies, active galaxies and clusters can also be studied as well as exoplanets. In brief, a lot can be done! What dome is employed in UHHEO ? The dome is a 18-foot enclosure built by AstroHaven Enterprises. It is of a clamshell design, using state-of-the art fiberglass technology. There is no rotation but the design of the dome allows the access to all the sky very easily. The dome is semi-portable and can be installed in a few hours. Where is UHHEO located ? At the time of writing (Novermber 2018), no site has been formally identified yet to host the new UHHEO. The current site on Maunakea would be ideal but could be decommissioned to meet political requirements. Other options have been investigated including Mauna Loa, but are not available or suitable for one reason or another. It is possible that the observatory could be temporarly installed on a good site but this solution is only considered to be valid for a short period of time. We are working on other possibilities as well but since it is important to have a good site to meet the mission envisioned for UHHEO, no important compromise can be made on the quality of the site.